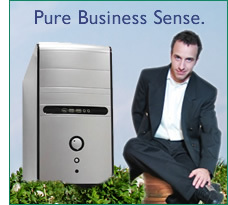 This feature packed computer system is perfect for home users or small businesses looking to shift their productivity into overdrive. Armed with Windows XP and state of the art hardware, the Blue Line Computer System allows you to get more done quickly, efficiently, and on a budget. Not to mention the extars MianoVision throws in for free, like software that is usually a paid high-end option on other systems, such as a full year of Symantec's award-winning Norton Anti-Virus. Any way you look at it, this system just makes pure business sense. Speakers Logitech X Series 2 Piece Speaker set. Other Pricing Please call for pricing without a monitor or if you would like more information.